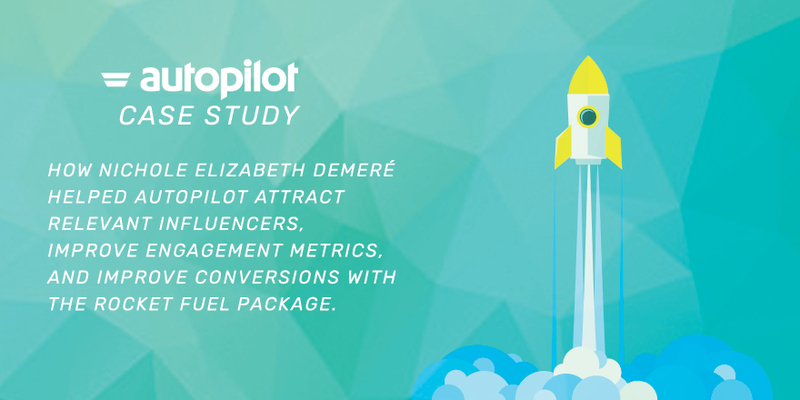 How Nichole Elizabeth DeMeré helped Autopilot attract relevant influencers, improve engagement metrics, and improve conversions with her content promotion and distribution package. SaaS marketer and growth strategist Jes Kirkwood was tasked with helping Autopilot improve their content following, but not just by boosting page views and engagement metrics. Autopilot, a marketing automation software company, needed to reach their target audience of SaaS marketers – specifically. Kirkwood signed up for Nichole Elizabeth DeMeré’s content promotion and distribution package in July, 2017. The package is designed for this precise purpose: To help companies gain brand recognition among their ideal audiences by sharing their high quality, original content on Nichole’s personal social media accounts, as well as Growth Hackers, Zest.is, SaaS.Community and additional distribution to specialized outlets. Over the course of two months, Nichole promoted 36 pieces of content. The results?